Many people could never envision themselves driving in Mexico much less beyond to Central America, it might as well be driving to the moon. If you’d asked me years ago whether it’s something I would be doing, the answer would have most definitely been no. 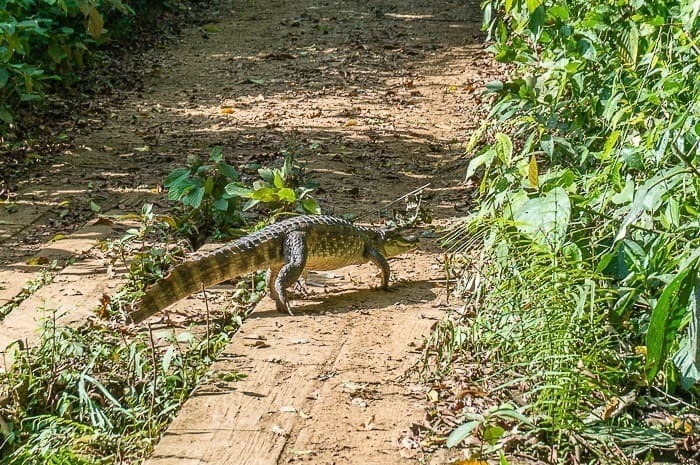 Everyone thinks you are crazy if you mention this idea to them… I mean, let’s face it, there are a lot of myths about traveling to Central America. But my opinion gradually began to sway as I met more travelers who had done it themselves. They assured me that it wasn’t as crazy as it sounds, that one the contrary it was not only totally feasible but worthwhile. A few years later I drove across the Mexican border myself, and I never looked back. Many of my readers have reached out to ask me about traveling in Mexico and Central America — this is my attempt to answer some of the most commonly received questions, to try and summarize and generalize a lot of information into near little responses. Read on if you want to find out about safety, how much Spanish you need, how to navigate, my worst experiences, how much money you will need, what the food is like, how to deal with corrupt police, and much, much more. Why road trip across Central America? Why not? Road trips are an amazing way to travel, and it doesn’t have to end at the border. Even Jack Kerouac in the ultra classic American road trip read, On the Road. made the trek down to Mexico City. The main reasons for me, beyond just the desire to travel, are the fact that with your own wheels you have complete freedom to go where you want when you want. You can stay on the beaten path or go far beyond it. You can stop when you want to grab a bite to eat, take photos of beautiful scenery, or stop because you’re tired. You can also bring everything you need from a full kitchen and stove to clothes and gear for the beach, to cold weather gear for the cool mountains, something you can’t really do with a backpack. When you’re on the normal gringo trail, you are often more surrounded by other travelers than you are by locals. Personally, I travel to foreign places to explore the local culture and NOT to be surrounded by other English speaking travelers. While overlanding we could go weeks without seeing another foreign traveler, even within Mexico. There are so many reasons to road trip across Central America, chief among them is that it is an unforgettable, once-in-a-lifetime adventure. Isn’t it dangerous? Won’t you be kidnapped or killed? Everyone always asks about this. It’s usually the first thing that pops into people’s heads – especially after those terrifying State Department travel advisories. So let’s just get it out of the way now. If you think that south of the border is some terrible, lawless, awful place where every tourist gets raped and killed, then you’re pretty far off base. It’s all a lot saner and safer than most people imagine it to be. That being said, you still have to take some commonsense precautions to ensure you aren’t making yourself an easy victim, especially when it comes to robbery or theft. I’ve spoken a lot more in-depth about general safety and security while driving in Mexico and Central America, so I’ll just refer you to that for now. It would probably have to be Mexico, though that comparison might not be fair. Mexico is massive and has so many incredible things to explore. We passed the bulk of the journey in Mexico—3.5 months in total and we were only able to scratch the surface. 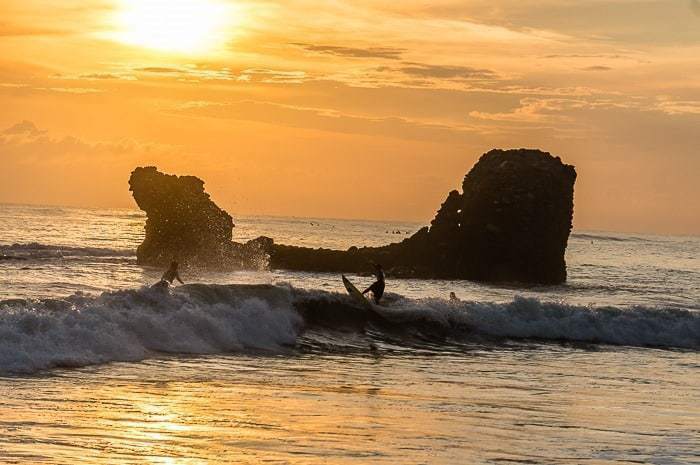 Mexico has a bit of everything, bustling global cities like Mexico City, amazing architecture, archaeological treasures, stunning nature, high mountains, beautiful beaches, an incredible food scene, and so much more. Mexico has long been one of the most important centers of the Latin American world. But each country has amazing things to offer and incredible scenes to see. From the islands of Belize, the jungle ruins of Tikal, Guatemala, the beaches of El Salvador, the volcanoes of Nicaragua, the incredible nature of Costa Rica, and the bustling metropolis of Panama City. I have great memories in all of them. 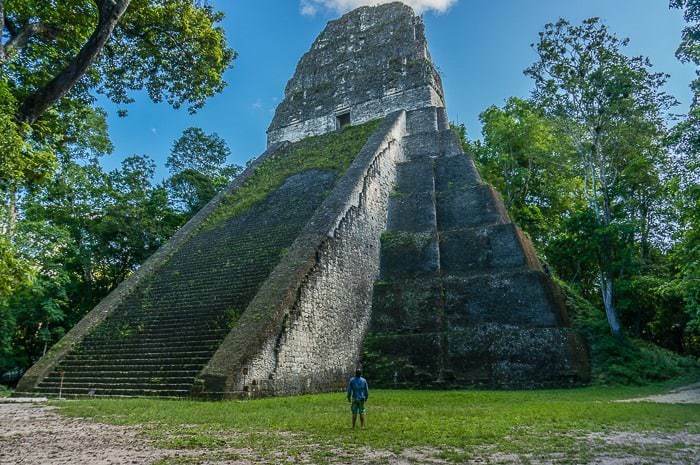 But if I had to pick just one country after Mexico, I’d have to give the crown to Guatemala, a stunning country packed full of amazing adventures. How much Spanish do you need to speak? The truth is you don’t *need* a lot of Spanish. 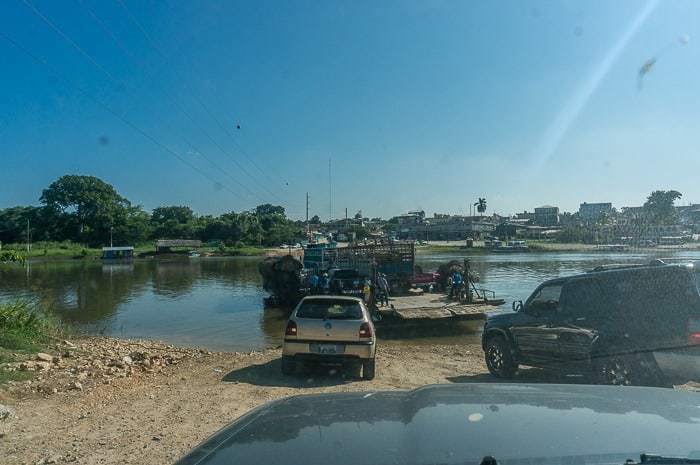 We met folks on the road who had a very rudimentary command of the language but who got by with body language and the basics… Even while dealing with police and border crossings. In fact, no Spanish might even help you when the cops are looking for a shakedown. If you have the patience you can communicate without much Spanish. That being said, how much Spanish you need, and how much Spanish you’d like to have are two different things. Learning as much Spanish as you possibly can before departing is your best bet. And learning as much Spanish as you can while you are on the road will also be invaluable. Your experience will be so much more enriching when you can talk more fully with locals, learn more about customs, culture, history, food, and even learning subtle differences in language between countries or regions. I’ve written previously on how to learn Spanish–take a look and dedicate yourself to studying at least a little bit every single day. When you hit the road, use that time to listen to podcasts or other Spanish learning materials. Many travelers stop for extended language learning in Guatemala, simply because it is so incredibly affordable there for a private 1:1 lesson. How do you navigate through a foreign country? GPS devices work wonders. Driving wise I relied on my Garmin Nuvi GPS with maps downloaded from Open Street Maps. They are free and pretty accurate, though you need to be cautious that it isn’t taking you down a dirt road “shortcut” that actually takes much longer, or that it isn’t taking you the wrong way down a one-way street (how I got hassled by the cops in Cabo San Lucas). I would also couple that with Locus Pro, an Android application on my phone where you can download a set of offline maps, and then using iOverlander I would download all the info for a particular country and load it into Locus Pro. That way I would always have access to offline info about nearby campsites, hotels, etc. Maps.Me is another great addition to your cellphone, with great offline maps that you can use to double check driving directions, distances, and even track down restaurants, hotels, or gas stations. We never used paper maps, having found that the GPS, Google Maps, and just talking to people was more than sufficient. We didn’t always rely on iOverlander either, often times we would just pull into some town and look around for somewhere to stay, sometimes asking locals for recommendations about cheap hotels or so forth. They are usually much more acquainted with the area than we will ever be. Although beware of the all too common custom of people telling you, quite convincingly, about where things are or how long it takes to get there, only for them to be completely wrong. 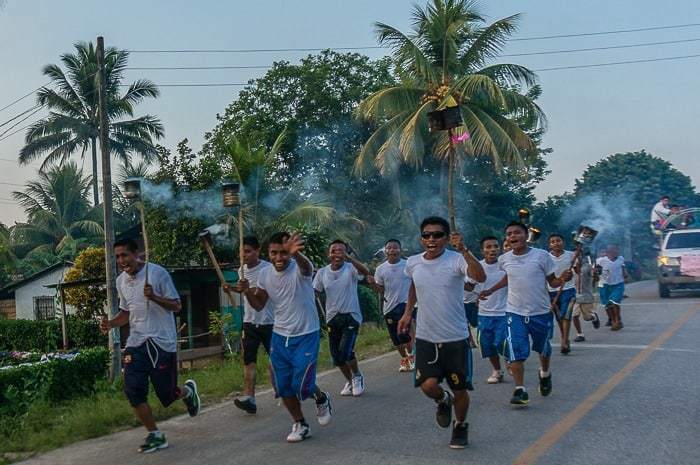 It’s a time-honored tradition in much of Latin America. What were the worst experiences? Border crossings were never all that fun. After the first few crossings you kind of get used to it though. It’s going to take a while, it’s not going to be enjoyable, but it’s just something you’ve got to get through. My advice at border crossings is to say NO to the helpers that hang around the borders. They are often scammers and will try to deceive you in order to help you cross (and charge you a lot for their “help”). We never used a border crossing helper. They are not necessary. They will tell you things like “2 hours to cross, but 30 minutes with me,” “come with me and we can skip the line of semi-trucks,” and so forth. Usually it is lies. You never need to wait with the semi-trucks… Just drive to the front of the line in the lane for oncoming traffic. We have crossed at the same time as others who have paid helpers and end up leaving at the same time as them. Getting stopped by police (in Mexico) was never fun either. Mexican cops have the reputation of being corrupt. We got stopped five times during our 3.5 months in Mexico. Two of those times were certainly shake downs over a driving infraction (only one of which was real). I couldn’t play the “no hablo espanol” game because Andrea is from Colombia and they would often turn to her and ask if she spoke Spanish if I played dumb. I found it best to just be firm and call them out when they pulled me over for my license plate and an obviously bogus “infraction”. Please don’t contribute to the bribery game, or you will just be ruining the experience for future travelers. After Mexico we never had a single problem with the police. Nothing. Probably the worst overall experience was passing through four blockades in two days in Chiapas, Mexico. We lost two days of travel essentially as the locals blocked the roads for 3-4 hours at a time, and then opened the roads collecting “tolls”… Only to drive 40 minutes down the road and hit another blockade. It was an unfortunate experience that tainted our time and perspective of Chiapas, what is an otherwise beautiful and interesting part of Mexico. Although Mexico was my favorite country, it also has the lion’s share of our bad experiences on the trip. I guess it’s the yin/yang thing. There were also the stomach bugs that I came down with in Puerto Vallarta and Antigua, Guatemala, which weren’t the best of times… Let’s just leave it at that. Are the cops really as corrupt as they say? Well, the cops can indeed be a problem. It always makes your heart stop a little bit to see them behind you in the rearview mirror. I had my first run in with the police in Cabo San Lucas after I turned the wrong way down a one-way street (thanks GPS), I immediately caught the error and backed out, but a cop pulled me over a minute later. He took my license and led me on a wild goose chase around town before eventually just telling me we should stop wasting time, so I handed him $12 to get my license back. Another time I got pulled over twice in a single day for no infraction whatsoever, they were just checking on me thanks to my foreign plate. Another time I supposedly passed a pedestrian walkway without stopping. They waited to pull me over until I was far outside of town, and the whole thing seemed suspicious (I saw them following me for a while before they turned the lights on). It seemed like I was being pulled over because of my plate, and I argued with them that it was because of that, they let me go. All of these happened in Mexico. After Mexico we had no problems with the police. My advice when dealing with cops is to hand them only the documents they ask for (best if you give them only copies, not originals), and try and distract them right away by being friendly, chatty, ask about driving directions, how far it is to the town you are going, where to grab a bite to eat, or basically anything. The majority of the cops are NOT corrupt, but there are definitely a handful of bad apples, and they can definitely hassle you until you give up and throw them some money for lunch. Please do your best to avoid paying bribes, it only emboldens them to shakedown more people in the future. – Snorkeling off the coast of Loreto, Mexico in the crystal clear waters. – Staying with a local family in Tequila, Mexico and being blown away by all their hospitality. – Getting to know Mexico City and being floored by how incredible of a place it truly is. – The first time seeing monkeys in the Yucatan along side of the road after driving all the way from Seattle. – Celebrating my birthday on the sleepy little island of Caye Caulker, Belize. – Wandering among the ruins of Tikal — absolutely mind blowingly awesome. 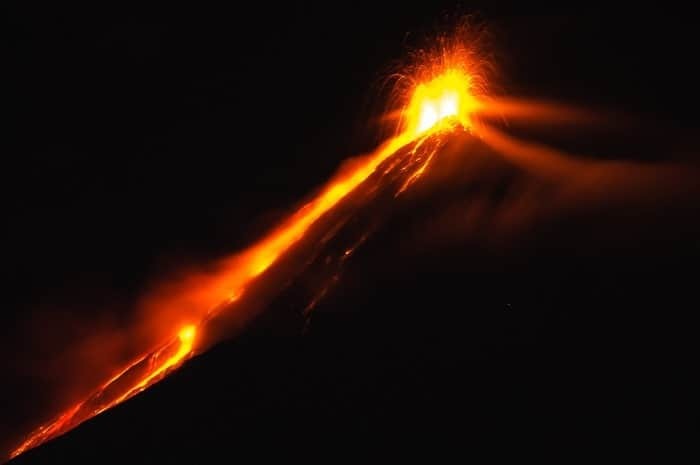 – Watching the flowing lava from an erupting volcano from the roof of our hostel in Antigua, Guatemala. 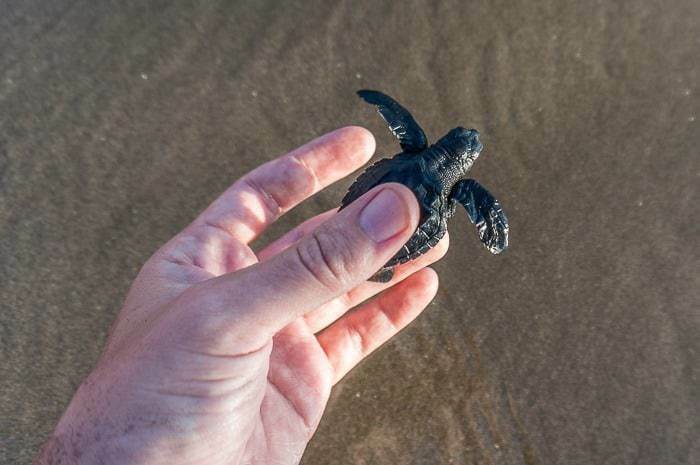 – Releasing baby turtles into the ocean in El Cuco, El Salvador. 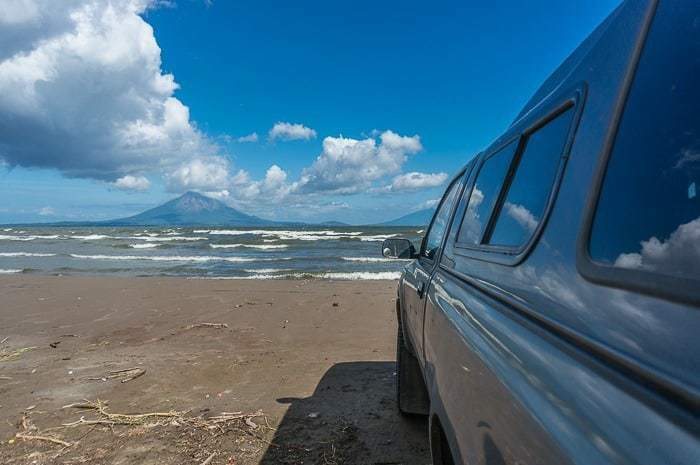 – Exploring the island of Ometepe in the middle of the massive Lake Nicaragua. 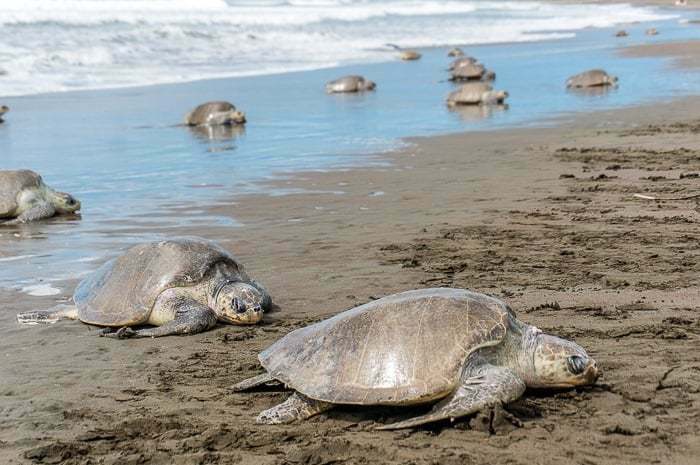 – Walking amidst 100s of sea turtles in the middle of the day during an ‘arribada’. 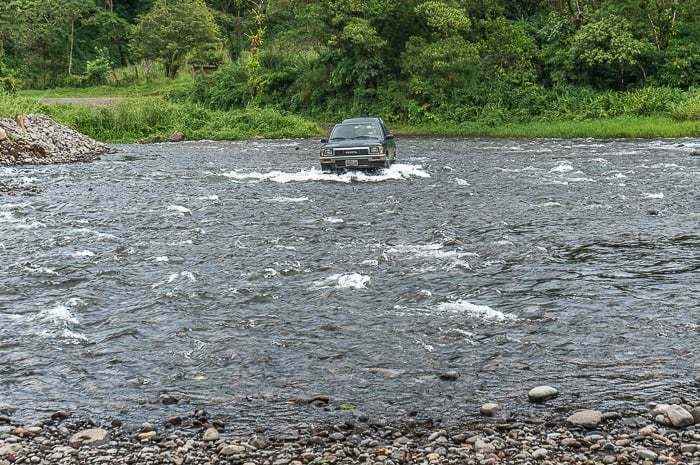 – Fording a 100 foot wide river with my truck in the middle of nowhere Costa Rica. – Hanging out in Panama City on New Year’s Eve and watching it erupt with thousands of fireworks. Those are just a few of my favorite memories that jumped out as I wrote this, but there are obviously many more within those six amazing months. Costs vary widely from traveler to traveler and from country to country. Places like Mexico or Guatemala will be amazingly cheap, and then places like Costa Rica will basically be as expensive as the United States. The best part about traveling as an overlander is that you can better regulate your expenses thanks to the fact that you are self-contained. If hotels are pricey, you can camp. If food is expensive, you can cook. You don’t have to rely on public transport to get you around. About the only thing you can’t really control is the cost of gasoline — which tends to be cheap, cheaper than the US, except in Costa Rica where everything is overpriced. In terms of the actual budget, we put aside $75 per day for traveling for a couple, not per person, which kept us happy, healthy, and entertained. We usually ate out at least once per day, stayed in hotels with A/C (since we were traveling during the summer), and includes the costs for truck maintenance, border crossings, gasoline, etc. You could do it cheaper, you could do it for more. It all depends on each traveler. How long does it take, or how long should I plan for? Again, this is something that varies wildly from traveler to traveler. People have driven all the way to Patagonia at the end of South America in just six months. Personally I wouldn’t want to do drive Central America unless I could afford to take six months to do it justice. As mentioned earlier, Mexico is massive and you could easily spend just six months exploring everything it has to offer. But with a six month budget, I would recommend three months in Mexico and three months in the remainder of Central America, where the countries are all a little smaller and easier to explore quickly. If you can afford to take a year just for Central America, then that’s even better. The most common pattern is either one or two years to explore both Central and South America, then most people have to get back to their real lives back home. But if you have two years, I’d still lean toward less time in Mexico and Central America, and more time in South America. All things considered, South America is way bigger and way more impressive. What sort of insurance or documents do you need? In terms of insurance, that is something you will need to deal with on a country by country basis. Most commonly this is handled at the border when necessary (some countries don’t require it). Mexico is the only country you can deal with car insurance in advance, by purchasing it online. Insurance is required for foreign plated vehicles, and your domestic insurance is NOT recognized by local authorities. That being said, no one ever asked for proof of insurance in Mexico. I purchased insurance online through Baja Bound for $170 – by far the most expensive mandatory insurance of any country we passed through. 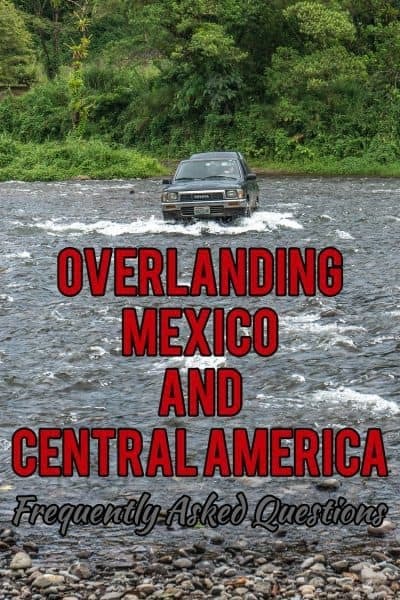 For specific details about border crossings and insurance for each individual country, I would recommend wikioverland.org for more info. Be sure to read information posted by other travelers about border crossing proceedings so you come to each situation well informed. What about other insurance while traveling? For theft, health, or dental? It’s a good to have yourself covered in case something goes wrong. I would recommend a basic policy that covers you in terms of medical emergencies as well as coverage to protect you against theft. I purchased a plan through World Nomads that would cover hospitalization, medical evacuation, and reimburse you for theft. They also cover injuries related to most (but not all) “adventurous activities”. Thankfully I never had to put their plan to the test, but the year long coverage for about $400 provided a nice peace of mind as I was traveling. The reality of traveling in Latin America means you can often rely on affordable and high quality medical and dental care on the ground, whether you have insurance or not. You can get check ups from highly qualified (often English speaking) doctors in virtually any mid to large city. I’ve gotten x-rays for $20, visits and the prescription pills for about $20 (less than the copay in many plans in the States), and I’ve gotten lots of dental work down, including crowns which cost less than $300 – compare that with $1,200 or more in the States. I would recommend a travel insurance plan like those from World Nomads to cover against catastrophic accidents, theft, etc. but just rely on affordable private visits as you travel throughout the region. In most countries you can find an expat group on Facebook, just pop in and ask for recommendations for a doctor or dentist. Read more about what is backpacker travel insurance and why you need it. Do you need to be an expert mechanic? Did you have any breakdowns? I am NOT mechanically inclined, whatsoever. I know the basics, I can check the fluids, I can search Google to try and help me pinpoint strange sounds, smells, or diagnose problems (not always easy, but sometimes I’ve been right on the money). Mechanics in Latin America are definitely of varying quality, many of the frighteningly incompetent variety, although they may be able to rig up virtually any DIY fix to get you back on the road. I relied on the recommendations of locals (who own cars – very important) and the recommendations of travelers who have come before and who share the information online through places like iOverlander. It’s important to keep up with your general preventative maintenance and to try and find larger, more reputable garages to work on your vehicle (rather than just a hole in the wall place). As of today, I haven’t had a breakdown in Latin America, though many highways have emergency services for those situations. 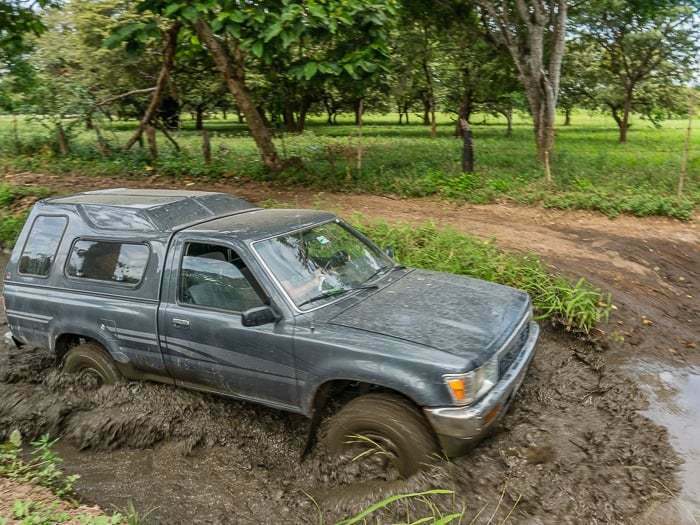 Plenty of other overlanders have been left stranded by their vehicles (I’m looking at you, VW Bus owners) and have always been able to find a way out of sticky situations. What sort of gear do you need? Anything you wished you had, but didn’t? 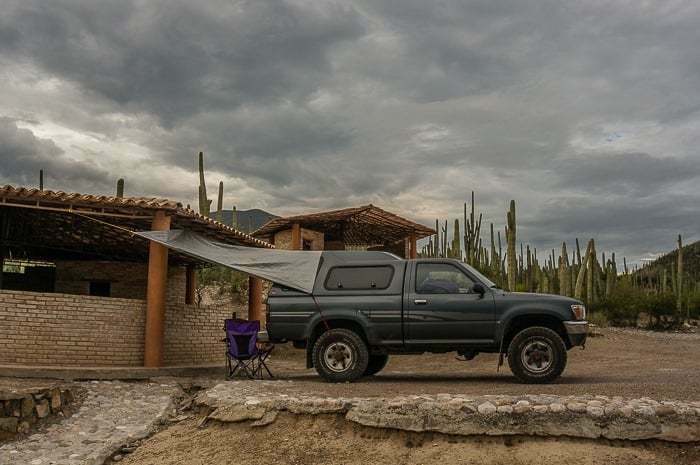 In terms of overlanding through Mexico and Central America, I basically recommend the same stuff that I use for truck camping gear. You need all the basics in order to sleep, eat, and live out of your vehicle (still recommended even if you will be relying mostly on hotels). I’ve spoken a lot about the truck camping essentials, so we won’t rehash that here. Beyond that you may want some more overlanding specific gear from winches, tow straps, traction devices, and so forth. I do not have ANY of that gear, and it is pretty much unnecessary unless you will be going to extremely remote and rough areas. We still get off the beaten path at times and had to use 4×4 to get up steep rutted roads, cross rivers, and so forth, but most of the recovery gear is overkill for this journey. Things aren’t as crazy remote and wild as you may be imagining it to be. In terms of gear I wished I had, but didn’t bring, there isn’t anything that really jumps out, except for a large propane tank from the States (which my adapter hose is built to use) because each country has its own adapter and it can be hard to find or fill tanks. Beyond that you should bring any special outdoor gear, electronics gear, or prized American food items with you. They can all be extremely difficult to track down or replace. Buy extras if you want things like peanut butter (great for a quick meal on a long driving day when you don’t want to stop) since they will be hard to find or much more expensive. Come prepared with everything that you would need. Is it tough to find fuel or places to stop for the night at times? For the most part, there are plenty of opportunities to fill the tank of your vehicle, although there can be some long stretches where you may run into problems (parts of the Baja Peninsula) if you come into it with half a tank. 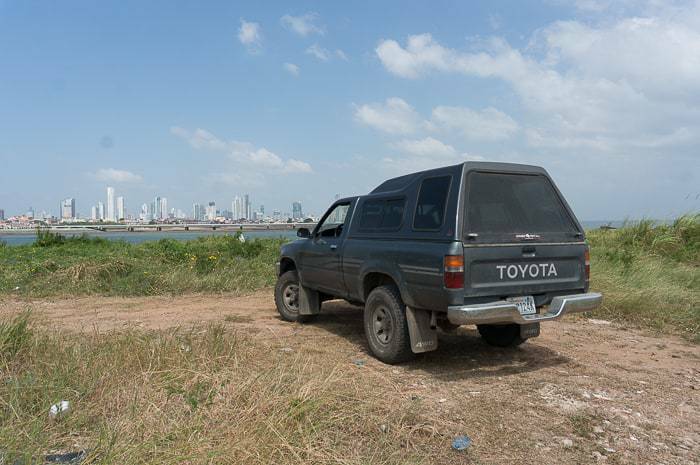 Within Mexico and Central America there is no need for fuel cans unless you will be venturing way off the beaten path for long stretches of time. If you are in a more rural part of the country, just be sure to top off your gas tank whenever you have the possibility. Any small or mid size city will have gas stations, just be sure to have enough cash on hand since the smaller ones will not accept payment by credit or debit card. In terms of finding places to spend the night, I often relied on iOverlander.com to give me an idea of what my options were ahead. 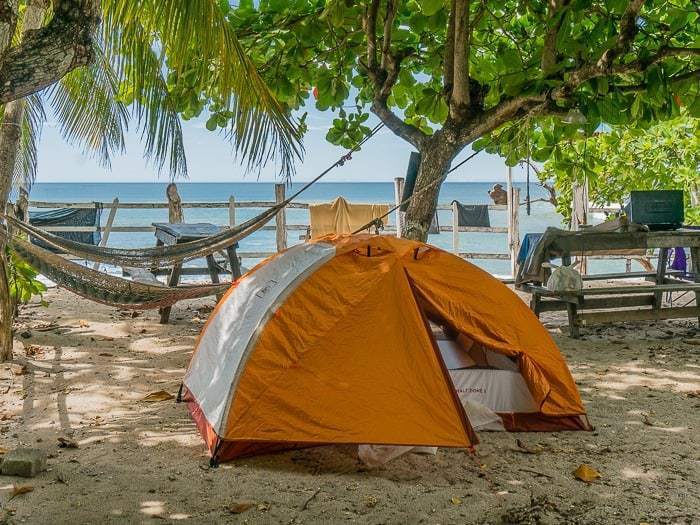 Within the site you will find free wild campsites, paid campgrounds, and hotels that offer secure parking – information that can be hard to find online. My rule of thumb was to leave by noon and to drive for no more than four hours whenever possible (keep the exhaustion down from driving, slow travel is cheaper, and you see more that way). Remember that it gets dark year round in Central America by about 6:30pm, and it’s always best to avoid driving at night – that is rule #1 of driving in Mexico and Central America. What is the general quality of the roads? The road quality varies from decent to very bad. Along the toll roads in Mexico, the roads are about as good as it gets, and you can cover a lot of ground, if that’s the goal. But for every toll road in Mexico, there is a free alternate road. Generally we avoided the toll roads, except in a few situations where we needed to move a little faster. The free roads in Mexico were in various states of disrepair, sometimes requiring lots of swerving to avoid potholes. The free roads pass through many small towns which means lots of those terrible speed bumps which can sometimes creep up unexpectedly. 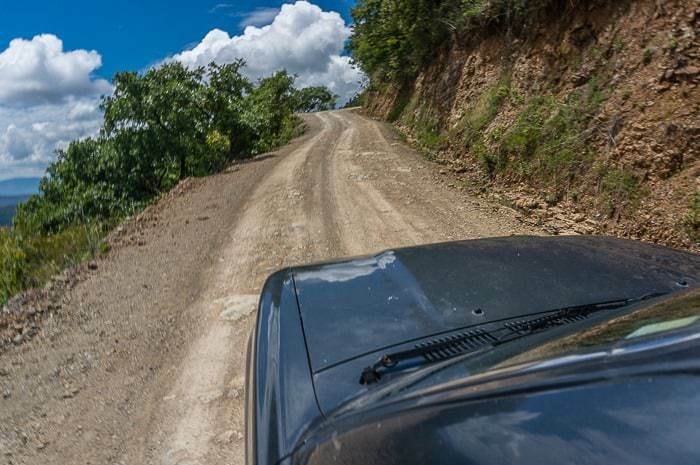 Throughout the rest of Central America the roads were in pretty poor shape, some worse than others. Honduras was appallingly potholed. El Salvador had surprisingly great highways. The best advice is to just take it slow, if you think covering 300 miles will be the same as in the states, you would be wrong. Everything takes a little bit longer. How was the food? What did you eat? The food in Mexico was excellent. Period. But you already knew that. Once you pass the Yucatan and head into Central America, things become a little more bland and boring. Lots of beans, rice, and chicken. Belize was a pleasant surprise, with some great local cuisine at times, thanks to the cultural melting pot that it is, with a mix of Taiwanese, African, Latino, and European influences. There are at times some great local specialties, like the pupusas in El Salvador. But generally speaking the food is simple, hearty, and cheap. When we weren’t eating out (usually just for lunch) we would cook up the typical things back “home,” like egg scrambles, pancakes, pasta, soups, etc. Whatever is simple and relatively quick. Can you drive all the way to South America? This is another common question. No, you cannot drive to South America. 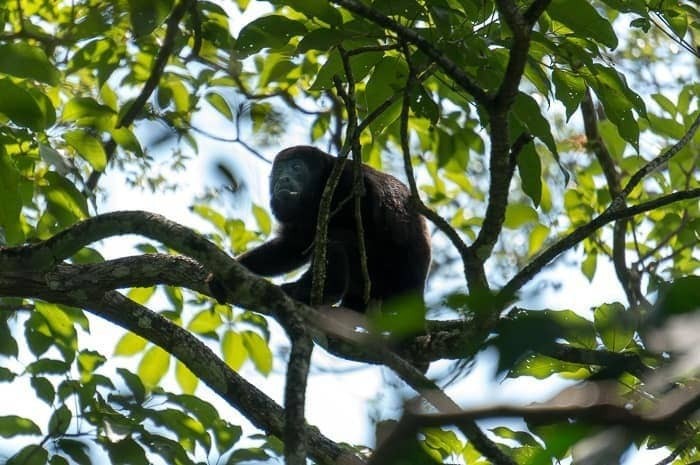 The road ends in the jungles of Panama in a place known as the Darien Gap — a 40-mile gap in the road between Panama and Colombia. It is an almost impenetrable jungle and swamp, rife with smugglers and illegal activities — or so the story goes. 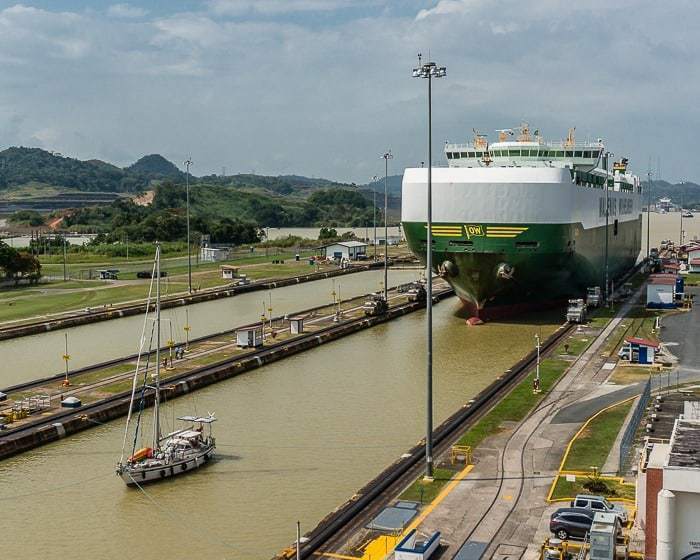 In any case, if you wish to continue your adventures beyond Central America and cross into Colombia, you will need to ship your vehicle from Panama to Colombia by boat. There is currently no ferry, it must be shipped like cargo (usually in a container, or in a Roll-On, Roll-Off). The actual ports are from Colon, Panama to Cartagena, Colombia. 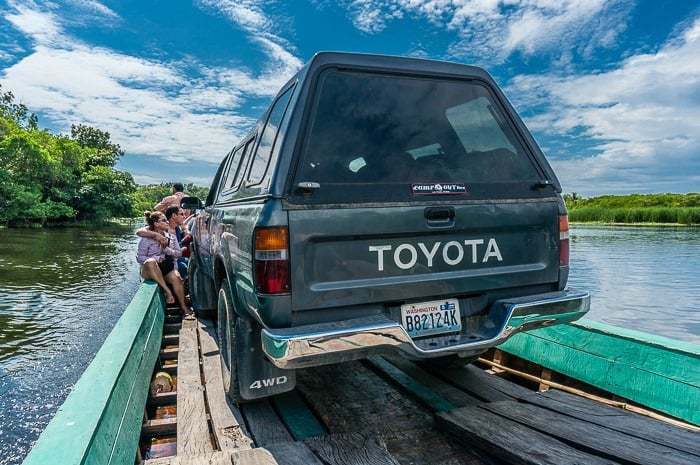 It takes a few days for the passage, costs around $1,000 dollars for just the vehicle, and you’ll need to fly or go by boat (via the San Blas islands) in order to reach Colombia yourself. It sounds like a logistical nightmare, but it’s not as difficult as it sounds. 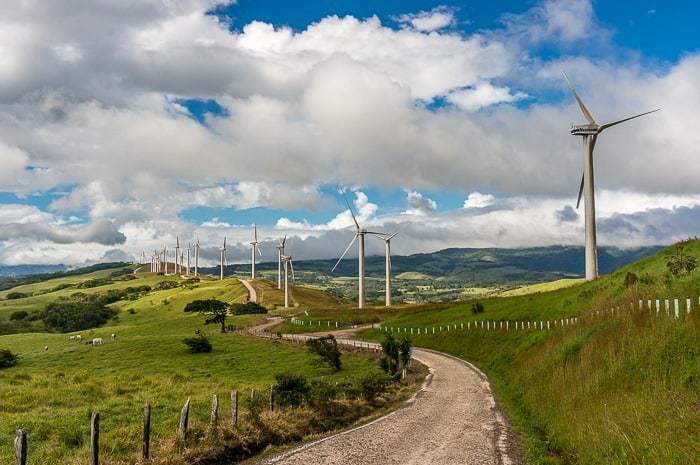 There are agents that help facilitate the process, you’ll just need to jump through some bureaucratic hoops and the whole process takes two days in Panama, and another full day or two in Colombia. Got any questions that I didn’t touch on above? Shoot me an email or sound off in the comments below and I may add it to this post. All-in-all, driving across Central America was an amazing, life-changing experience and is certainly among the coolest road trips in the world. If you’ve got the chance to do it. Do it. Asides from Mexico how easily dud you access money?? Check out my article on travel banking fundamentals for how I handle money while traveling.